We prepare you for your experience with a complete safety briefing and demonstration of techniques. Our certified canopy specialist guides stay with you throughout your adventure and take care of you along the way. A walk along our wooded pathways leads you to the top of the waterfall. This is where your excitement really starts! 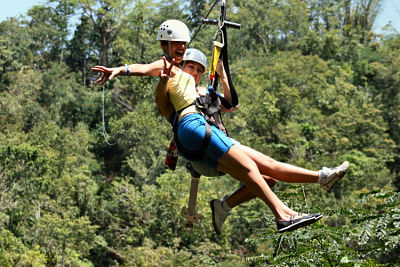 Come join us on this most exhilarating Zip Line Canopy Adventure.